2006 Mako 215 Walk Around 2006 Mako 215WA with a 2005 Mercury 225 4 stroke which is the Mercury engine with the Yamaha components and flushing system. Well maintained, trailer and has the enclosure with it. Great for the family!! 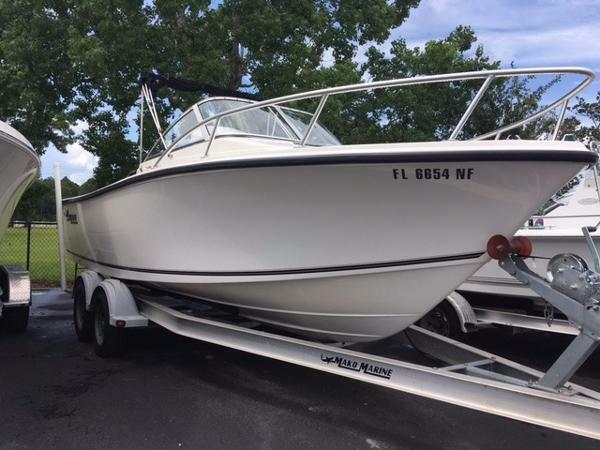 2006 Mako 215 Walk Around 2006 Mako 215 Walkaround equipped with a 225 HP Mercury Optimax 2 stroke with 186 hours. The boat comes with a Mako Easy Loader aluminum trailer which had the tires replaced last year. 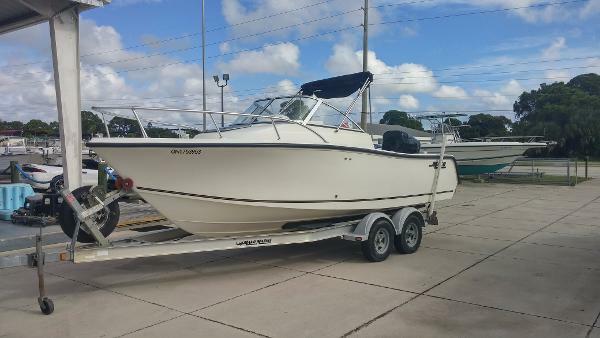 Racks for 6 scuba tanks, full boat cover, fresh water wash down, dual battery charger, Garmin GPS/Fish finder, Clarion radio and a VHS radio. This boat is ready to hit the water!